The expanding science of facial rejuvenation has grown exponentially in the last ten years. According to the American Society for Aesthetic Plastic Surgery (ASAPS), more than nine million facial rejuvenation procedures were performed. People’s quest to maintain a youthful appearance is nothing new, but the treatments options available are better than ever. 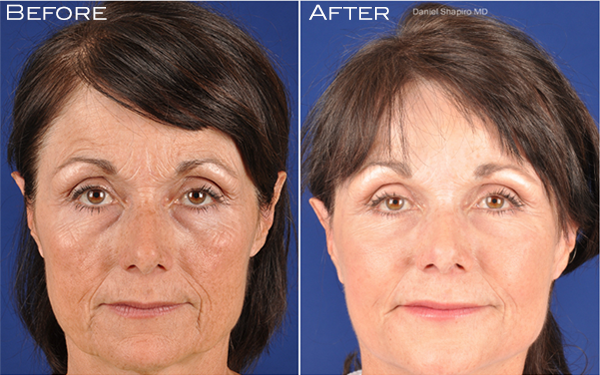 There is no longer a one size fits all approach to facial rejuvenation. Treatments and procedures can be customized to yield maximum results so patients now have extensive options allowing them to fine tune which areas and issues they would like to address. Facial rejuvenation surgery has made many advancements in the last decade, creating more options for people that are looking to rejuvenate their face and regain their youthful appearance without a traditional full facelift. The development of facial fat transfer is one of the most significant advancements in restoring lost volume to the face. The facial fat transfer procedure uses a patient’s own body fat as a soft tissue filler to add volume and contour to the face, providing permanent results and long-term enhancement. Because the fat is injected into the face, there are no incisions required and most patients only experience a brief period of mild swelling or bruising. There have also been significant advancements in facelift surgery that give a minimal incision option to patients that need some lift in the cheeks and jowls. Known as a Mini-facelift, it only requires three or four small incisions, which are well hidden, to remove excess fat and reposition the cheek tissue. The Mini-facelift can correct minor sagging in the lower face and neck and is so minimally invasive that it can be performed in the office. For those wanting a completely customized facial rejuvenation, there is the GenXLift. The GenXLift allows patients to combine various complementing facial rejuvenation procedures for an entirely revamped appearance. This package typically consists of fat transfer to restore youthful volume, a short scar facelift to reposition facial tissue and remove excess skin, and laser therapy to reinvigorate skin and facial tissues. Combining the procedures produces a beautiful, fresh appearance. As science has progressed and new products and technology have become available, the practice of facial rejuvenation has become both science and art. As an experienced and knowledgeable surgeon, Dr. Shapiro is always looking for newer, better treatments to give patients masterfully crafted results. With the most recent innovations, that means optimal results with less downtime and less invasive options. If you are ready to create your customized treatment plan, call (480) 451-1700 today to schedule a complimentary consultation with Dr. Shapiro.